The high spot of New Zealand culture is mostly mutton, roast lamb if you’re lucky. A few days ago Travel MSN UK published a list of the Most Boring Places on Earth. It was based on feedback from users of the site’s message board, readers were asked which places they thought were the dullest on the planet. “Home” came first in the first 4 locations, understandable because afterall this is a travel site, Brits aren’t shy of saying what they think about their own backyards under such circumstances. The readers’ first placed foreign destination, New Zealand, may come as a surprise to a few but not to others. The country has long aspired to be the premier destination for cashed-up adrenaline junkies, how can it be boring? Interestingly it’s not just travellers that responded to the survey but migrants living in New Zealand too. “…And so to perhaps one of the most surprising entries on the world’s most boring places list. The filming of the Lord of the Rings in New Zealand must have roughly quadrupled the number of British people who fantasise about the country as a place of mystery and beauty to which they long to escape. 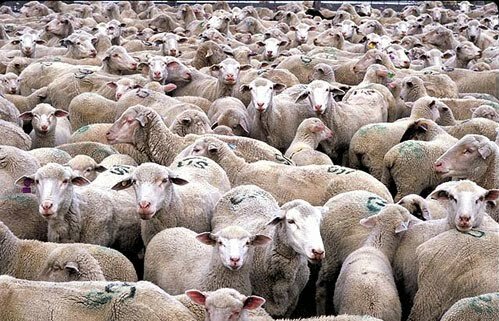 Should they do so, however, they may find they have underestimated the (large) extent to which sheep outnumber humans in the country. Another user calls the country “dull“, with a “pompous” population who enjoy a “boring lifestyle“. Yet another observes: “All you ever get from the Kiwis is how beautiful it is.” So why are they all in the UK, he asks. But this is nothing new. Travel journalists have been taking their professional lives in their hands and saying New Zealand is boring for some years. “Describing travelling in New Zealand, I feel like the woman who swallowed a thesaurus in an incident described as tragic, awful, calamitous, disastrous and lamentable. There are lots of ways to describe the country, but it all boils down to the same thing: it’s pretty. The Marlborough Sounds? Well, yes, they’re beautiful. Fjordland? Dramatic. The glaciers? Remarkable. The mountains? Impressive. Waterfalls? Sensational. What about the landscape, surroundings, terrain and views? Oh yes, they’re all charming, dazzling, lovely, spectacular and striking. And they are. But nice hills and rivers don’t hide the fact that New Zealand is essentially one of the dullest places on earth. Take the Tranzscenic railway which runs from Greymouth to Christchurch. It is touted as one of the world’s best train journeys. And while New Zealand remains as far away from most other countries as it is, Kiwis can probably convince themselves that this is true. But really, it’s no nicer than that scenic bit in Staffordshire that British trains go through when they head north. While Helen Clark, the country’s prime minister, was in the UK trying to convince Britons that New Zealand is dynamic and ready for the 21st century, I was touring some of the cities here. Wellington, the capital city, has a population half the size of that of Luxembourg. Auckland, with over a million people, is supposed to be a cosmopolitan city. Nearly a third of the people in New Zealand live there. But a bustling city it certainly isn’t. One of the most frequently heard compliments about the country is that the people are friendly. They are, actually, but alas, friendly doesn’t equal interesting. No wonder so many Kiwis spend years working for minimal wages in bars and pubs across the UK. I would too, if it was the only way to get away. The national bird is flightless and even the national fruit was brought here from somewhere else – China, in fact. Even New Zealand-born Russell Crowe has just applied for an Australian passport. It’s not that New Zealand isn’t pleasant. As I’ve said, parts of it are very nice to look at indeed. It just lacks something. Personality, perhaps? The prettiest part of the country is the west coast of the South Island, which plays host to the Franz Josef and the Fox glaciers. I took a helicopter ride to a point on the Fox glacier where, kitted out with hobnailed boots, crampons and a walking stick, I hiked on the ice for a couple of hours. Because the glacier moves new paths and footholds have to be cut every day but, as this was the luxury helicopter hike, someone else did that for me. The glacier can actually move up to 4m a day, surprisingly quick for New Zealand where “no worries” and “chill out” are regular refrains. “This hole is several hundred metres deep,” said Ricky, the guide, pointing to a crack in the ice. I promptly dropped my sunglasses down it. This was the second pair to go, the first having committed suicide off the Golden Gate Bridge in San Francisco. Apart from the scenery, there are two things New Zealanders are proud of: Lord of the Rings, and being reigning champions of the America’s Cup. Actually, make that three. New Zealand is also proud of being a nuclear-free zone. But this is one of the things the London Borough of Hackney boasts about, and you wouldn’t want to spend three weeks touring Dalston, would you? We are wondering what will happen when the news of the Travel MSN UK survey gets out! Migrants’ Tales: First hand accounts of migrant life in New Zealand. 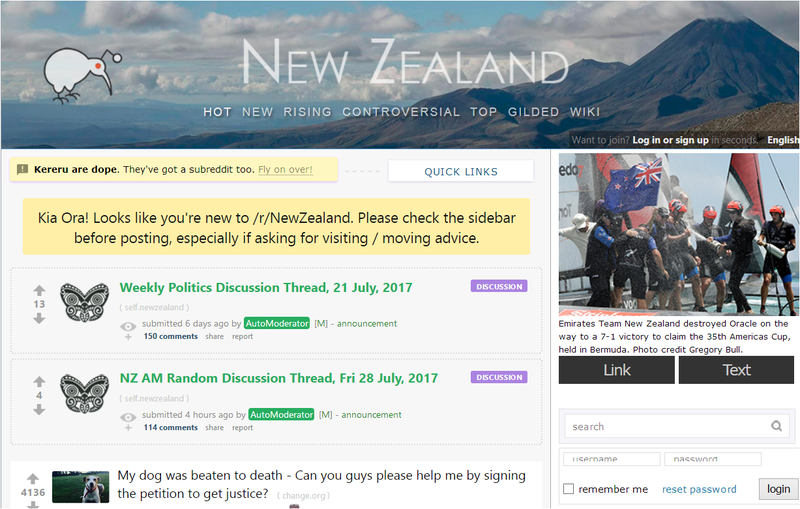 I moved to New Zealand 10 years ago from the UK. The lifestyle is that there is no life. Its lonely, boring, dull and depressing. I had a better life in the UK. A better job, nicer house, good friends and better cars. I had things to do and places to go. Now, I just sit here looking out of the window at the almighty land and sea. Because thats about all NZ has got. It is very sad that the only relief from the unrelenting tedium in New Zealand are the occasional shocking crimes and and fatal accidents sometimes caused by the dumbest of luck. The worst characters are the ones who tell themselves and everyone else over and over that they are happy and that NZ is the greatest place on earth when their eyes tell you the opposite. I’m extremely late to this discussion, but have found it very interesting! I grew up in NZ but left for Europe as soon as I could, and have been living in various places in Europe for the past 10 years. As a kiwi, I always felt we were brainwashed and told ”how great NZ is” and ”how lucky we are to live in a clean, green, beautiful, safe country” and that ”Europe (including the UK) is so expensive and with an astronomical cost of living”. It is drummed into us how lucky we are. I grew up in Auckland too, so not some small town, but I just remember suburbia, boredom, sure – lots of nice trees and greenery, but no real history, culture or excitement. No place I’ve lived is perfect, and I agree that so much is what you make of it… but I also think us kiwis are a bit brainwashed and that life in NZ is actually tough – completely overpriced/high cost of living, and I was stunned at how affordable Europe was when I first arrived. My grandparents were immigrants to NZ from Ireland, and in the late 1940s it was sold as the ”land of milk and honey” – so it attracted new immigrants from Europe whose lives had been decimated after WW2. I believe the ”NZ as utopia” marketing campaign started there, and tickets were given away or sold very cheap to weary post-war Europeans looking for a change. I think this ”utopia” image started there & became passed down so that future generations are told how lucky they are to get to live in NZ. Also I think the government relies on Kiwis not knowing better, and charges insane taxes and inflates goods & services – I’m always shocked at the prices when I visit – even taking into account the exchange rate they are usually 3x the cost of average European prices (and this is for locally made goods also!). 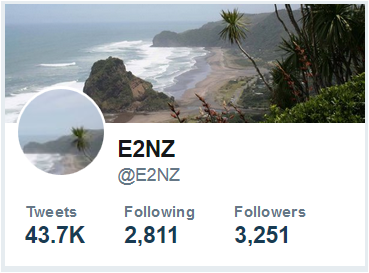 I may sound anti-NZ but I’m more anti-brainwashing of any kind, and although there are nice things that I miss, I’m very glad to have emigrated! I have lived in NZ for a few years and I am doing ok here. I think the worst aspect is that because of this brainwashing is that it is hard to discuss serious issues. For example it came out a couple of years ago that it was safer to be a Kiwi soldier fighting the Taliban in Afghanistan than to be an NZ forestry worker. People trying to improve health and safety seem to be regarded as some kind of evil left wing force when in fact they just care about other people. Yes I’ve heard similar things from my in-law (american) who is an engineer and was stunned by the health & safety standards in NZ, and saddened by the low level of safety many NZ’ers just accept as normal. Also it was difficult for him to speak up at work without being labelled arrogant etc. It’s good for people to have pride in the country but also important to be open to ideas for improvement that will ultimately benefit them and improve their own quality of life! I dread getting up in the mornings here same shyt everyday with aggressive drivers on their little wee mission with one hand on the horn waiting for an opportunity for a rage . any body would think that they’re driving in London or New York (mind you the mentality says so.) Id get more sense from out of a parrot than trying to break a open conversation here on the spot with New Zealander their impression of you will be more than likely dumfounded and under suspicion. nothing like a Glaswegian or a Geordie so friendly and know how to banter and converse with Etiquette not low mentality boring conversations like Huckleberry Finn stuff, nothing happening at all. I must admit keys stands out at world leaders conferences he’s got that Gomer Pyle look about himself and stands out amongst the rest of them and looks like he would look good in a oversize tweet jacket, mind he’s Obama poodle .Cannie wait to get out of here. Yes! The inability to banter really nails it. You find more of that nice casual conversation in parts of the South Island where I felt a lot more comfortable making some random observation that it would actually be responded to not left hanging while I looked like a goober. But in the North, forget it! Those kind of conversation really grease the wheels and make life bearable. I often think a lot NZers only accepted emotions are rage(e.g. road rage, violence) or very restrained happiness(All Blacks win) and that any more complex emotions can only be released when drunk. I really pity a lot of the young people who never see anyone successfully expressing complex emotions like sadness or frustration or grief or even passionate feelings about anything and so start to view them as being “bad” and in need of dulling with alcohol or drugs. Key really does seem charmless and unsophisticated. I hope E2NZ starts paying attention to the abysmal quality of medical care in NZ – it is really a false front. Of the over 100,000 complaints that the Health and Disability Commission receives each year, only TEN percent are ever investigated. Combine that disheartening statistic with the widespread inertia that most New Zealanders have towards making formal complaints (due to ignorance, acceptance, quiet despair, or fear that they will be targeted), and the significant difficulty inherent in making a formal complaint to begin with, and one realises that the true size of the situation could be proportionately mind-boggling. Medical practitioners have crown immunity, and even if one could sue, it is most certain that the medical system’s twin, ugly sister – the ‘justice system’ – would intervene and protect all but the most heinous criminals. Wherever, whenever segments of a society are effectively above accountability as so many of New Zealand’s institutions and bureaucrats are, death and decay lie just below the surface. One thing that really annoys me in Auckland is that you get all these house parties going on at all hours of the night as people can’t afford to go out to drink and party so they annoy their neigbours instead. This happens in upmarket and lower socio areas as well. When i lived in london no one ever socialised in their houses as their was always a more fun venue really close by. Auckland has changed so much into a really divey rough dirty place in the CBD, except in the newer viaduct area which is nice. But the old part of the city has a rough element, noisy as hell and old rotting buildings, a bit like on programs about the east end of london in the 1950s. So it is rather boring compared to london. I might have been able to handle New Zealand if it were the bucolic place the poster above jo describes. However, I found the Kiwis so low-rent in conduct, grasping, ready to lie at the drop of a hat , and alkie-druggie – not all, mind you, but enough of them to make a distinct impression on many of us immigrants, and in demographics that would not be acceptable elsewhere, such as middle-class housewives – that being able to bike or tramp in a fern wonderland was worth next to nothing, in the end. Needless to say, we reversed our migration, for the children mainly but our general lot as a family would surely have declined, had we stayed. With some exceptions, the inhabitants were just awful, straight out of a hillbilly exploitation movie in their degeneracy and isolation, but with an urban-values “twist”. Cost of living aside. That previous poster’s implication that it is merely “different” and not “worse” than some given other country claiming First World status, did not reflect the experience of our family and that of others we know. I’m a Kiwi (from Hawke’s Bay) who has been living in the UK (London) now for a number of years, however I frequently return to NZ to visit family etc. I appreciate that compared to many parts of Europe and the US, New Zealand is very underpopulated and for that reason it may seem boring, however you need to realise that different people enjoy different lifestyles. I can fully appreciate the differences between my two homelands (NZ and the UK) without necessarily considering either to be boring. When I visit friends and family back in NZ, the pace of life is much slower than in the UK but that does not necessarily mean that we are boring people. We make our own fun by going out to cafes’ (much better coffee in NZ than the UK), going for bush walks and cycle rides, going to the beach, going to vineyards etc. If you think that’s boring, fair enough but to me it’s not boring. You might think that you can do these things anywhere. But in the UK the weather is either too wet or too cold for most of the year for most of these things, in Hawke’s Bay we get long hot dry summers and cool crisp winters. You’re probably going to ask “If NZ is so good how come you’re not here?”. Well like many people I left my home country to experience life in a different country and to see the world, that does not mean that I think NZ or the UK for that matter are boring places. Probably the same reason many people on this message board left your home country. I certainly do intend to move back to NZ at some point, because it is my home, not because I think it is any better or worse than any other country. It is such a relief to find this blog as most opinions are based on good arguments. Kiwis have patriotic blindness which prevent them from seeing things objectively or maybe its just they have not experienced what everyday fun is really. I was commenting in another blog where the writer was so bias and attacking people personally. Of course the blog is from a kiwi saying New Zealand is not boring and the rest of kiwis agreeing with him , what a loser!